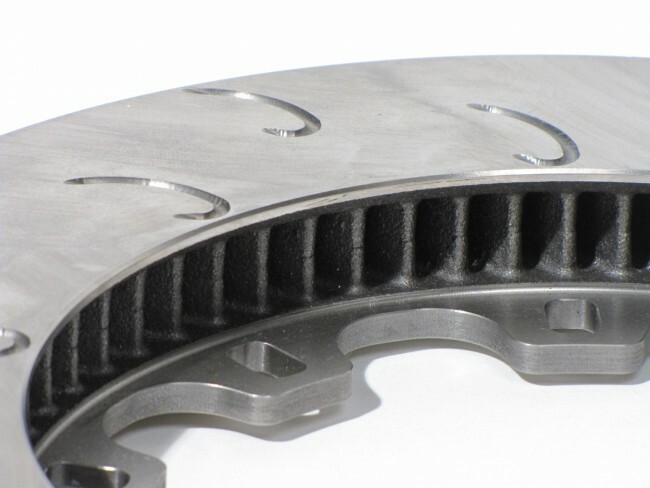 Note: Please inquire on brake pad setup for your application. In 2001, the bug-eyed Impreza WRX was finally launched in North America, and enthusiasts scrambled to get their hands on the first of Japan's modern rally specials. Subaru's loyal follwers were rewarded for their patience in 2004, as the heavily reworked 2.5L WRX STI came screaming onto the scene in answer to Mitsubishi's launch of the Evo VIII. If you're reading this, I don't have to go into too many details about how capable the STI is. At 3300-3400 lbs. these cars are no lightweights. Even more importantly, it's fairly cheap and easy to increase the power to silly levels, and you can cram a decent amount of tire under the fender flares. Uber fast, check...big power, check...meaty tires, check...What does all of that mean? It's not exactly easy on brakes! 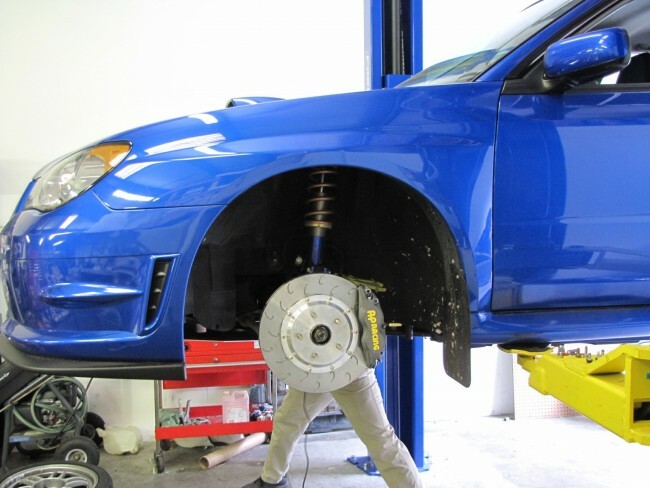 To combat the tortures Subaru expected from its new owners, they equipped the car with a fairly nice brake system from the factory. 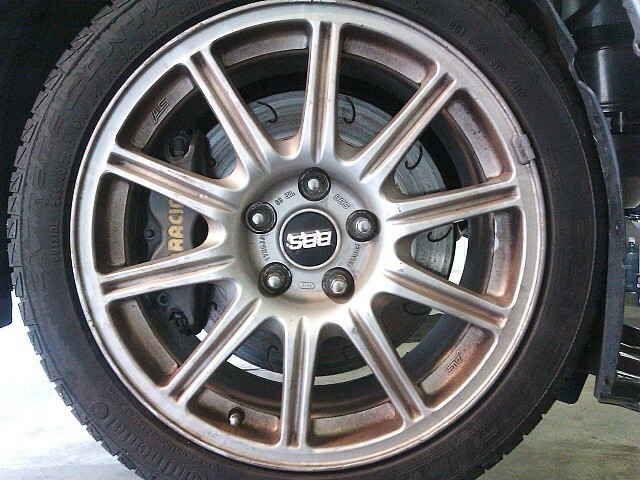 The STI features 325x30mm brake discs with four piston Brembo calipers up front, and two piston Brembo's in the rear. While it's true that the Brembo system on the STI is far superior to what most production cars come with (particularly in the price range), there are some fundamental differences that set the system apart from a true race-ready system. 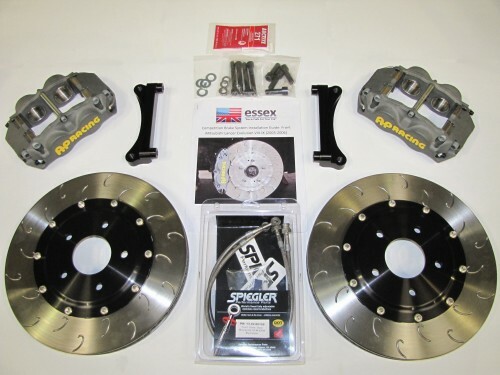 - High airflow, heavy duty AP Racing J Hook brake discs that are over 4 lbs. lighter than the OEM units, available at an extremely competitive replacement price ($250 each). - Highest quality, Spiegler stainless steel brake line with clear sheath that reduces compliance over OEM rubber design. Finally, keep in mind that we have a whole bunch of very fast corvettes and Evo's around the country now running the exact same caliper and disc setup. The majority of those cars are 400-550HP and 3,000+ lbs. Positive feedback from that crowd keeps rolling in. Additionally, the axial mount version of this setup has been run for years on hundreds of asphalt late models, which are 2800-2900lb., 500hp cars on slicks.